The sunrise is so full of hope. Say good morning to someone dear and help them greet the day with a smile. May the new light of a new day fill them with warmth and hope all day long. This morning card is fresh and invigorating. 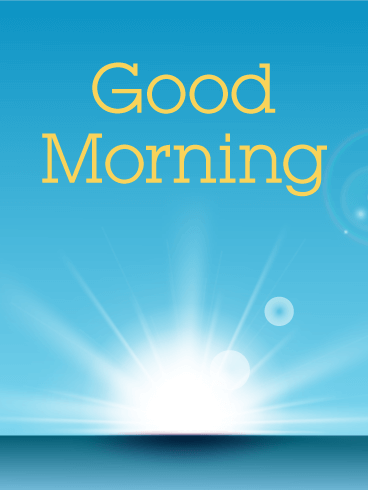 The bright new sun rises over the ocean and the text is a cheerful yellow. It's a simple way to share a smile. Send it now for a truly special day. Our favorite part of morning! Nothing says, "Good morning!" like the first cup of coffee. Shake off the sleep, greet the day, and enjoy a hot cuppa on us. 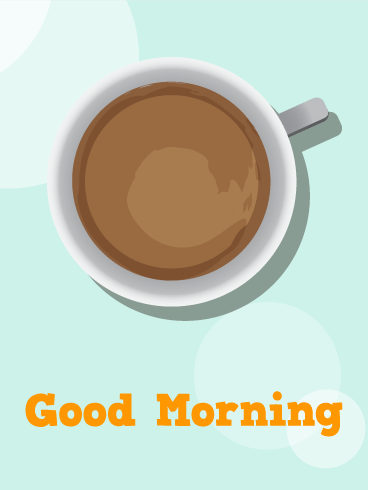 This morning coffee card is a great way to wish good morning to anyone in your life be it co-worker, family member, or friend. It's lovely to receive kind words and warm wishes first thing in the morning. It truly starts the day off right. 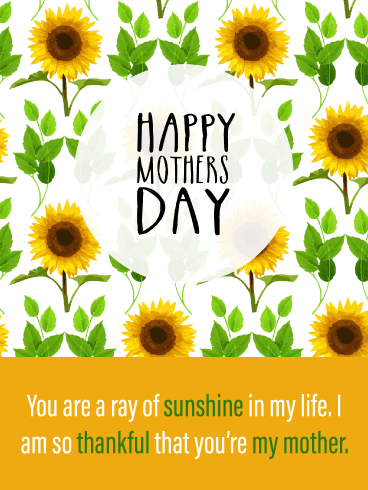 Share a smile, share an card. A beautiful morning! A beautiful day! We've got a wonderful feeling that everything's going your way. 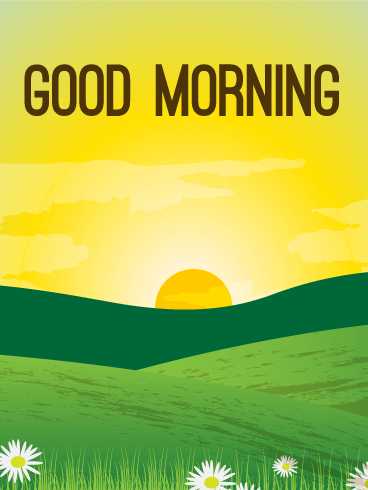 Start the day off right and send sunshine to someone in your life with a good morning greeting card. This cheerful greeting card is a thoughtful way to spread smiles and good cheer. The daisies bask in the light of the sunrise, and the green hills beckon us to come out and play. Everyone loves the sand, sunshine, and relaxation! 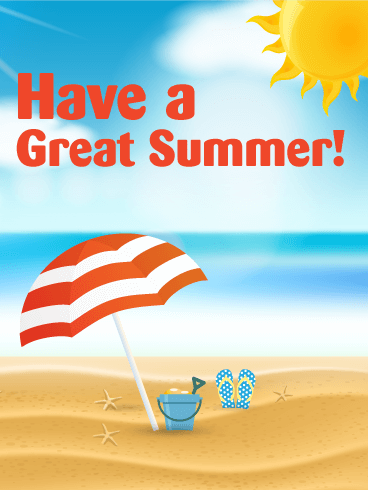 This summer card is the perfect way to wish someone a wonderful summer vacation. Send it to a friend who's been counting down the days until their tropical getaway, or send it to your friend and family members who love Summer! The possibilities are endless! This silly, little Bee Piñata has a fun message to send! He wants to say good morning to all your family and friends. How can you resist his goofy grin? Let him buzz into the heart (and inbox!) of someone special and brighten up their morning. Send this good morning greeting card and start the day with a happy laugh.